Gambling regulators in Massachusetts are expected to host a hearing on whether Wynn Resorts Ltd. to hold a license for gaming. 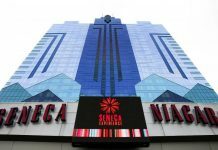 The hearing will take place during the first half of December, but was originally supposed to occur months before this. The Massachusetts Gaming Commission has conducted investigations and the enforcement bureau has also launched an investigation into the Wynn Resort (Nasdaq: WYNN). The investigation occurred in January, after a Wall Street Journal report. The report exposed a pattern of sexual misconduct by Steve Wynn that has allegedly occurred for decades. Wynn is the founder and former CEO of Wynn Resorts. Wynn stepped down from his position as CEO a month after the Wall Street Journal report. He sold all his stocks in the company and has denied all sexual misconduct allegations. 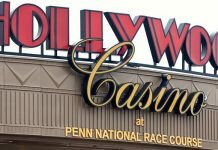 Just recently, Edward Bedrosian, the Gaming Commissioner Director, stated that he will likely discuss pre-hearing motions in November 2018. Bedrosian also confirmed that the “actual hearing” will happen “sometime in the first two weeks of December.” Once the hearing takes place, the Commission could require Wynn Resorts to pay a fine, take away the corporation’s license, or take no action whatsoever. Bedrosian also confirmed that the legal staff of the Commission will go over the report to determine if the content needs to be edited or redacted to be in keeping with the public records laws of the state. Wynn Resorts will also get a copy of the report that that resort executives can prepare a response to hearing the presentation given by the Investigations and Enforcement Bureau. Bedrosian also commented that after the prehearing and commissioners have reviewed all aspects of the case, the proper authorities will be able to “decide any pretrial motions.” Bedrosian asserts that once the commissioners have had time to read the reports and everyone is “prepared for their presentations,” the legal team lead by Catherine Blue will then schedule a hearing for Wynn Resorts. Since 2014, Wynn Resorts has held a Region A gaming license. The resort has used the license to launch the construction of the Wynn Boston Harbor resort, which has since been renamed. In June 2019, the Encore Boston Harbor will open; the facility cost $2.5 billion to build. 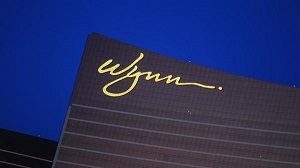 In spite of the recent investigation, Wynn Resorts tweeted that “reservations are coming.” Plans have also been announced for a restaurant and luxury nightclub. The Gaming Control Board in Nevada is also conducting an investigation of Wynn. However, it’s not clear whether the Board will take action. Wynn Resorts’ Board of Directors has also completed an internal investigation regarding Steve Wynn’s allegations. The Board has yet to disclose the findings of the investigation.